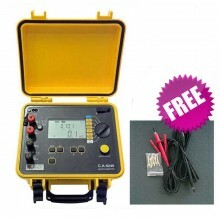 Includes: 6x AA (IEC LR6) cell batteries, C1600 hard carrying case, Zero adapter, Heavy duty mains cord, STD standard test lead set, Padded carrying and waist strap, Quick reference guide, TP165X remote control probe and lead, User's manual on CD-ROM. Now with a FREE T150 and DMS Software while stock last. 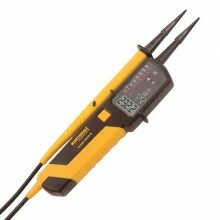 Buy a Fluke 1663 or 1664FC Multifunction Installation tester and get a FREE T130 or T150 Two pole tester and Software. 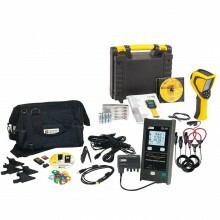 The Fluke 1664 FC Installation tester is the only tester with "Insulation Pre-test". 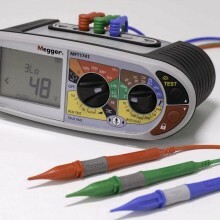 If the tester detects that an appliance is connected to the system under test, it stops the insulation test, helping eliminate accidental damage. 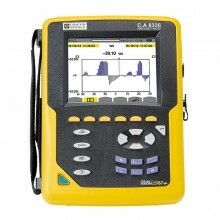 The 1664 FC also gives you Fluke Connect, so you can send test results to your smartphone and collaborate with others. Auto Test performs seven tests with one press of the button, reducing the number of manual connections and decreasing the possibility of making errors. 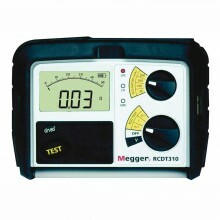 The Safety Pretest feature detects any appliances connected to the circuit under test. Safety Pretest gives you a warning before you start a test and prevents damage to appliances from the test voltage. To use Safety Pretest, the Tester must be connected to the phase (L terminal), neutral (N terminal) and protective earth line (PE terminal). The Tester shows all three black dots in the terminal indicator annunciator to guide you. If you use the mains test cord at a mains socket, this condition is always true when the mains socket is wired correctly. 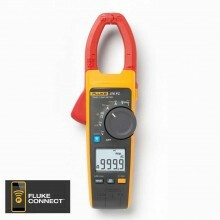 The 1664 FC supports the Fluke Connect Wireless System. Fluke Connect is a system that wirelessly connects your Fluke test tools with an app on your smartphone. It enables you to see test results from your Tester on your smartphone screen and share these results with your team. You can also download the saved test results to a smartphone and send the data package by email. The Fluke Connect app works with the iPhone and Android Phone. The app is available for download from the Apple App Store and Google Play. 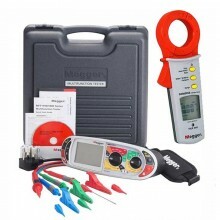 Autotest to test line/loop impedance, RCD trip current / trip time, insulation tests with a single connection. Two measurements at once and a dual display. PEFC or PSC and loop impedance are measured and displayed in parallel. 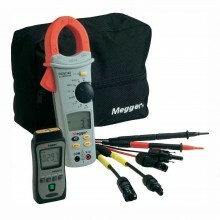 Supplied with the safety designed SureGrip™ test leads and clips. Loop & line resistance with mΩ resolution. Accuracy (45 Hz – 66 Hz) 0.8% + 3. Overload protection 660 V rms. Range (autoranging) 20 Ω / 200 Ω / 2000 Ω. Resolution 0.01 Ω / 0.1 Ω / 1 Ω. 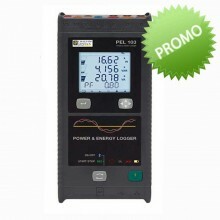 Open Circuit Voltage >4 V.
Accuracy of Test voltage (at rated test current) +10%, -0%. Range 10 Ω / 0.001 Ω / High current mΩ mode. Range 1000 A / 10 kA (50 kA). Resolution 1 A / 0.1 kA. 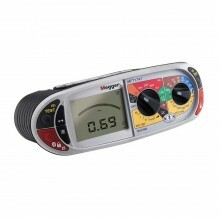 Model 1664 A, AC, B5, S.
VAR mode not available for type B. Resolution 0.1 Ω / 1Ω. Battery size, quantity Type AA, 6 ea. Dimensions (L x W x H) 10 x 25 x 12.5 cm. Weight (incl. batteries) 1.3 Kg. 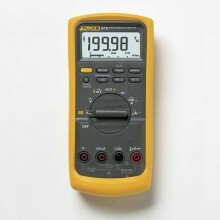 Fluke 1664FC warranty 3 years.